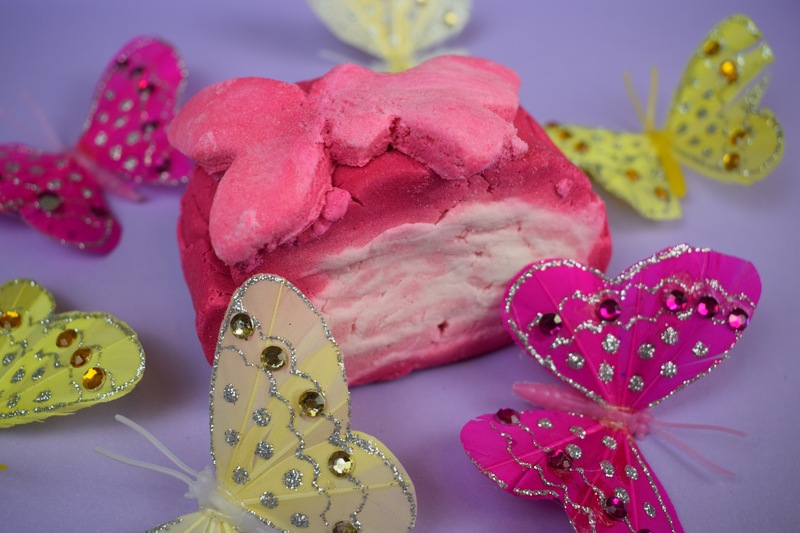 The Flutterby bubble bar was first released in 2016 as part of the exclusive range of Mother’s Day products at Lush Oxford Street . It took me quite a while to get my hands on one of these mysterious bubbles bars as not living close to London often causes a few set backs when trying to get hold of exclusive products. This bubble bar has got to be one of the prettiest named products I have ever seen. The name Flutterby just stirs up imagines of wild flowered gardens and fluttering butterfly and is such a perfect name for a product released in the spring time. The design of this bubble bar is just as pretty as it’s name. Quite large in size this bubble bar has beautiful pink and white swirls with a very pretty little butterfly sitting on the top. 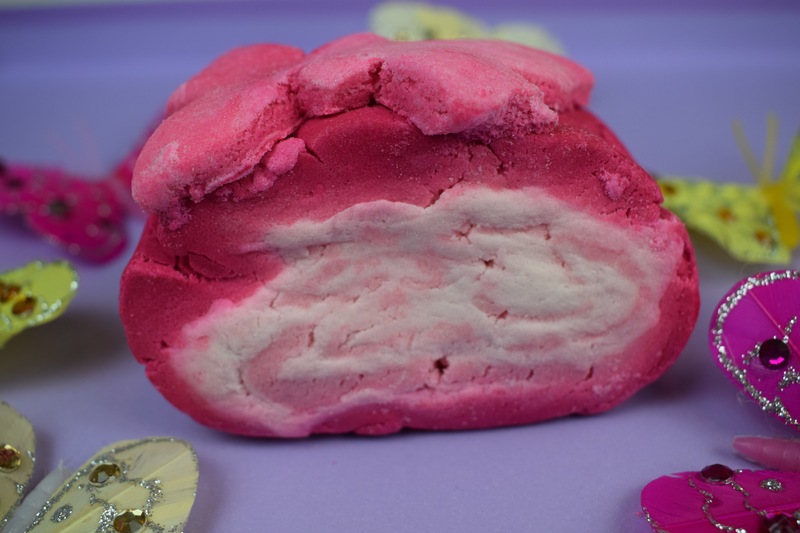 What i really love about the Flutterby bubble bar is that because each one is hand made each bubble bar is slightly different making them all totally unique. 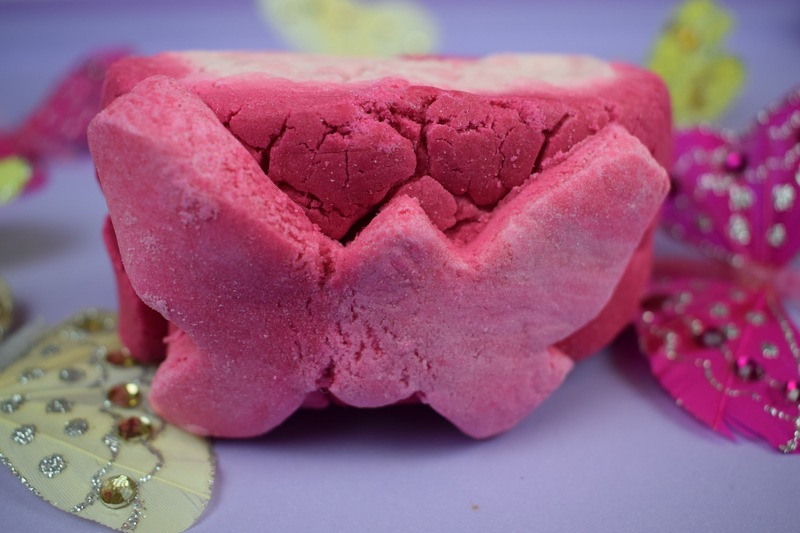 The scent of the Flutterby bubble bar is the same as the Yummy Mummy Shower cream. In the 2016 Mother’s Day range there seemed to be a lot of products that shared this scent. the Yummy Mummy scent is a very sweet fruity floral scent. It is apparently meant to smell of strawberries but I don’t personally think it’s does. I find the scent to be very creamy and luxurious, the floral element combines very well with the fruitiness leaving an almost subtle floral undernote which is possibly why I adore this scent so much as I am not a fan of overpowering floral scents. Size wise as mentioned early this bubble bar is quite large in size and you will easily get 2-3 very bubbly baths out of this product. To use this bubble bar all you need to do is break off a small amount and crumble it under running water. 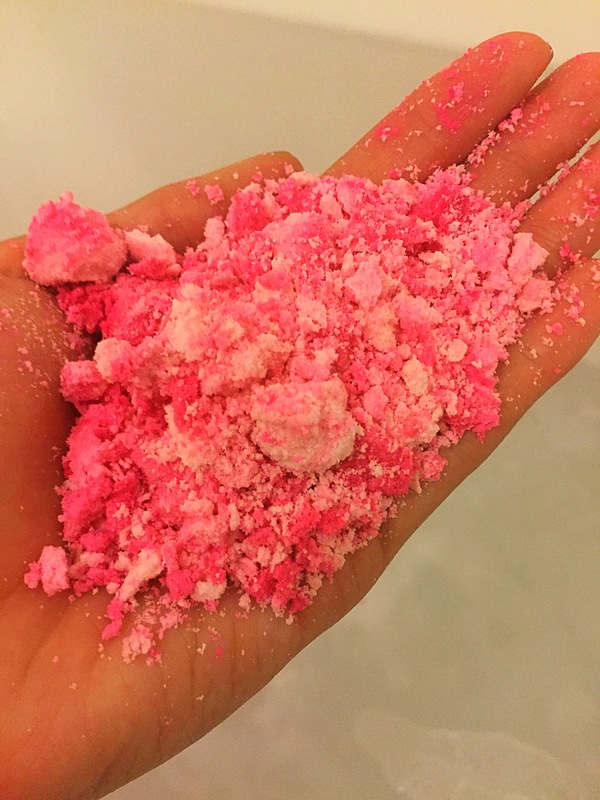 This instantly causes lots of lovely soft white bubbles to form and the the water turns a very pretty shade of pink. Once in the water I found the scent to be nice and strong still. 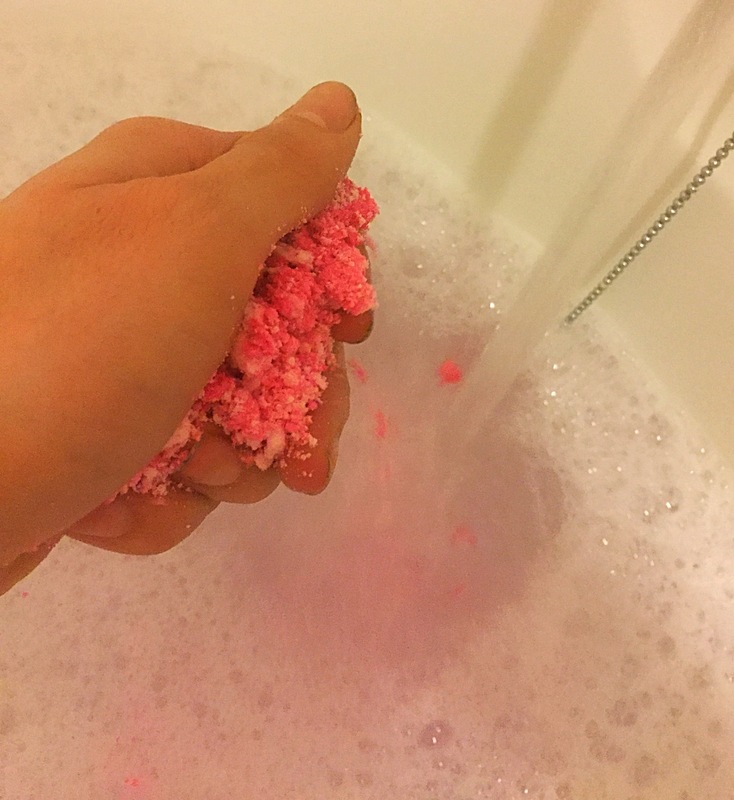 With bubble bars you sometimes find that the scent weakens a lot once mixed with water. I also found that I was left with a very subtle scent on my skin although this didn’t stick around for long. Overall I really liked the Flutterby bubble bar. The scent is very lovely and the design is perfect for this time of year. I just have to keep my fingers crossed that Lush will release this product into the Lush Kitchen as some point. I have just nominated you for the Versatile Blogger Award on my blog, because I love all of your amazing reviews and I find them really useful!